It’s that time of year again. The Passports with Purpose founders and, literally, hundreds of travel bloggers have been busy working in the background to launch our 5th annual fundraiser. Though I’ve talked about this before, it’s worth repeating for those who may have missed it in past years or are new to this site. 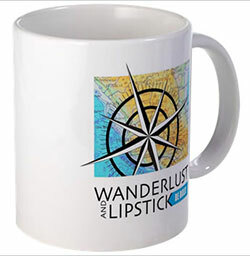 Passports with Purpose is the travel bloggers’ fundraiser for which I’m a co-founder. It all started in 2008 when Michelle Duffy, Pam Mandel, Debbie Dubrow and I gathered for coffee. We discussed wanting to create a way to unite the travel blogging community around a cause. Having traveled enough to developing countries to know that even a small amount of money could make a big difference to a family or community, we decided to hold a fundraiser where donations as small as $10 could yield a big return for donors (because they could win prizes) and for recipients of those $10 donations (because when it was all said and done there’d be a good chunk of money to provide to a community). Pretty quickly we had sponsors willing to provide some seed money to help us get started (this year we owe a big thanks to Expedia as our Platinum Sponsor). But each year, the majority of funds raised come from the $10 donations from folks like you. The first year we raised money for Heifer International, which provides livestock and training to help empower poor communities and families. Each successive year, we’ve raised money to build something tangible for a community. In 2009, we raised $35,000 and built a school in rural Cambodia. In 2010, we raised $65,000 and built 25 homes in Southern India for a Dalit (untouchable) community). 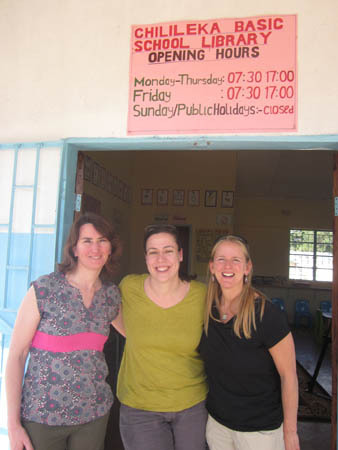 And in 2011, we raised nearly $90,000 and built 2 libraries in Zambia. You can see our visit to the libraries here (grab the tissues, first). This year, our goal is to raise $100,000 to build five water wells in Haiti through Water.org. We’ve wanted to do something in Haiti for a long time but, frankly speaking, the instability of the government and the high level of corruption made us hesitant. When we learned that we could partner with Water.org, which is well established in the region and has excellent on-the-ground oversight there, we all knew this is was something we could get behind. I mean, who can’t get behind wanting to provide clean drinking water to people that desperately need it?? So, this year’s fundraiser launches on Wednesday, November 28th. On that day, you’ll be able to find a full catalog of prizes from more than 150 bloggers. The list will include everything from luggage to overnight hotel stays to week-long getaways. Prize values will range from $100 to those in the thousands of dollars. The fundraiser closes on December 11 at 11:59 pm PST. For every $10 donation, you’ll have one chance to win a prize. Whether you can donate $10 (for one chance) or $200 (for 20 chances), it all adds up and brings us closer to our goal of $100,000. While Passports with Purpose is now run by me, Pam, Michelle and Meg Paynor (our wonderful PR person), we get tremendous support from the travel blogging community (a big shout out to Mara Gorman who has taken on the role of our social media maven). 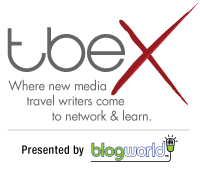 Hundreds from the world of travel blogging will rally in the coming weeks to host a prize, host a widget or help us spread the word to their readers, their family and friends. Then there are all the PR folks and companies who so generously donate items for the fundraiser. We could NOT do this without the collaborate effort of each and every one of you. So that’s the story of Passports with Purpose. Come back here on Wednesday and you’ll see what what my prize is and you’ll be able to see all the other prizes available to you all. Help us spread the word, too, won’t you? Tell your friends and family how they can help bring water to communities in Haiti AND how they might win some fantastic prize(s) in the process. This is the link you’ll want to share with them and where the prizes will be listed beginning on Wednesday.